The restaurant industry is all about customer service and customer satisfaction. Whether you are an independent restaurant owner, or part of a chain, simple, efficient and cost effective payment processing is an integral part of your business model. Pizza Pizza prides themselves on their ability to prepare quick, delicious and worry-free meals to their customers and payment processing should be just as worry-free. Having up to date technology and mobile terminals allows Pizza Pizza to focus on what the do best, providing great food to their loyal customer base. 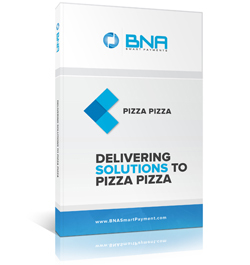 Take a look at what Pizza Pizza had to say about BNA Smart Payments. © 2016 BNA Smart Payments Systems,Ltd.All Rights Reserved.